According to the American Psychological Association, 12 million Americans over the age of 65 currently live alone. That number is expected to increase to at least 13.4 million by 2035! Seniors citizens who live alone face a number of challenges, and it’s important for them to take steps to stay safe when they’re at home. Listed below are five ways that senior citizens can stay safe while living by themselves. 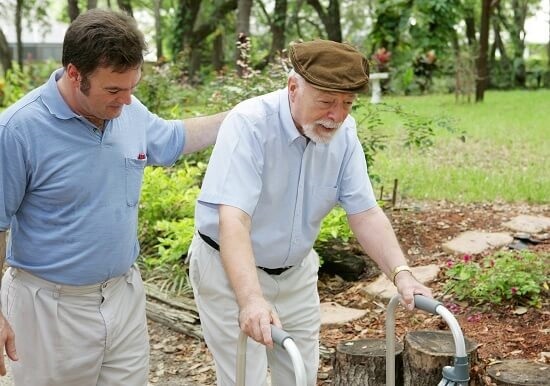 Seniors who live alone are at risk of fall-related injuries and functional impairment. Living alone is has also been associated with several serious health conditions, including arthritis, glaucoma, and cataracts. Family members and friends of seniors who live alone should also make an effort to ensure their loved one is taking steps to stay in good health. Physical illnesses are not the only problem that seniors who live alone face. Many seniors experience mental health conditions like depression and anxiety when they spend too much time in isolation. It is important for seniors living alone to have regular opportunities to spend time interacting in-person with friends and family. Daily check-in phone calls and time on social media can help seniors stay connected with their loved ones. Seniors with specific medical conditions should always wear a medical ID bracelet. This makes it easy for emergency personnel to get the information they need if they ever need to come to your home. Furthermore, seniors should keep lists of medications, allergies, and personal information handy. Keep one list in a purse or wallet and another in a highly visible place, like the refrigerator or bulletin board. Like the medical ID bracelet, these lists provides emergency responders with potentially life-saving information. Falls are the leading cause of fatal injury among senior citizens, and one in four Americans over the age of 65 falls every year. Those who live alone face an especially high risk of falls and fall-related injuries, so it’s important to take steps to prevent them. The bathroom might be the most dangerous place for seniors who live alone. Installing grab bars around the shower and toilet can help them avoid slipping and falling. Non-slip bath mats are also beneficial. All of these steps can significantly reduce risk for falls and the injuries that can accompany them. In the event that a senior does fall, though, it is important to have an alert system to ensure they get help as soon as possible. It is easier for older folks who live alone to stay safe and independent with medical alert systems for seniors. Many alert systems are specifically designed with seniors in mind, so they contain features like activity monitoring, medication reminders, and fall detection. Seniors should also look for wearable, waterproof medical alert devices with a long battery life. Keeping these tips in mind can help seniors stay safe and happy while living independently. Start implementing them today, or pass them along to a loved one who could benefit from the information. Senior citizens may perhaps be the most misinformed about medical marijuana.